TALLAHASSEE, Fla. — Major home upgrades could be coming to more than 100 families who live on Tallahassee's southside if Leon County Commissioners green light the project. 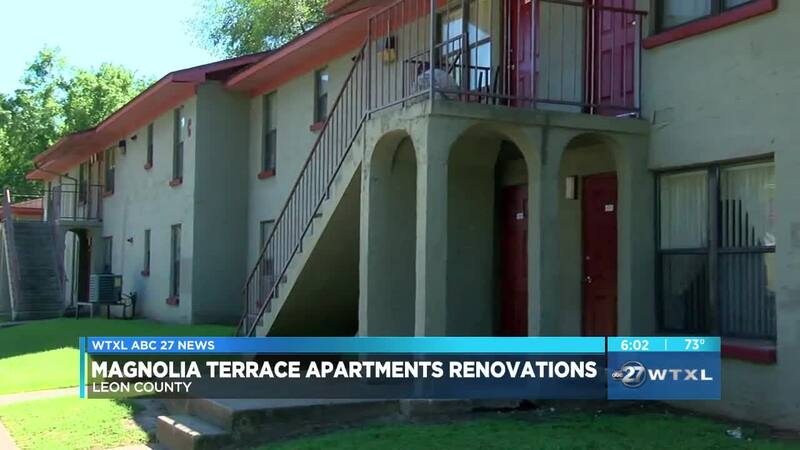 Some who live in the almost 50-year-old units at Magnolia Terrace Apartments say these renovations are much needed and will improve their quality of life. New energy efficient air conditioning, water heating, and appliances are all part of the proposed project. Replacing run down flooring and cabinets is also included. If the project moves forward, during these renovations, tenants will temporarily stay in a unit that's already complete. After 48 years these apartments get a little more than tired. Your air conditioning, heating, cabinetry, plumbing, everything is starting to go at that point," said Mark Hendrickson, Financial Advisor for Leon County Housing Finance Authority. "Basically you're going to be improving property but not, in any way financially, putting a burden on the resident." The Housing Finance Authority is looking to secure $13 million to improve the 108 affordable housing units in the complex. County commissioners will vote on this at their May 14 meeting. If approved, construction is set to start at the end of 2019.